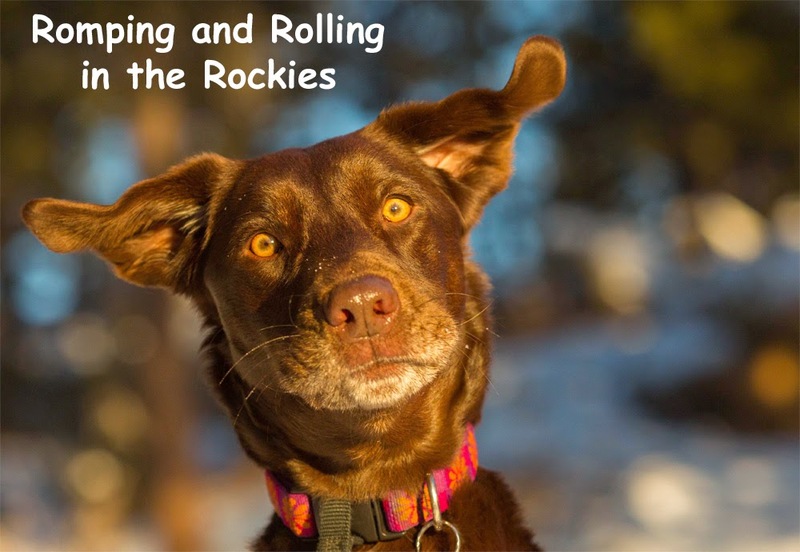 Romping and Rolling in the Rockies: The battle of the elk rut - including the sounds! The battle of the elk rut - including the sounds! 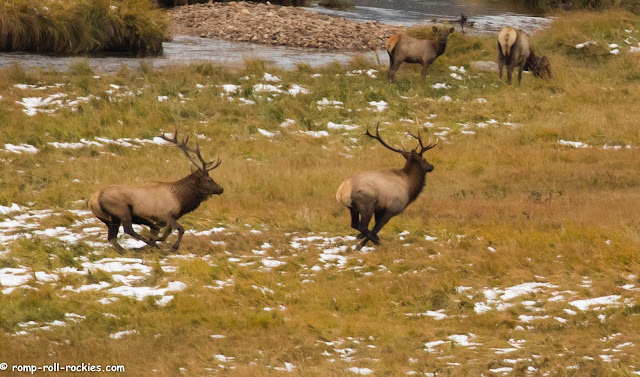 As I mentioned last week, we love watching the elk rut. 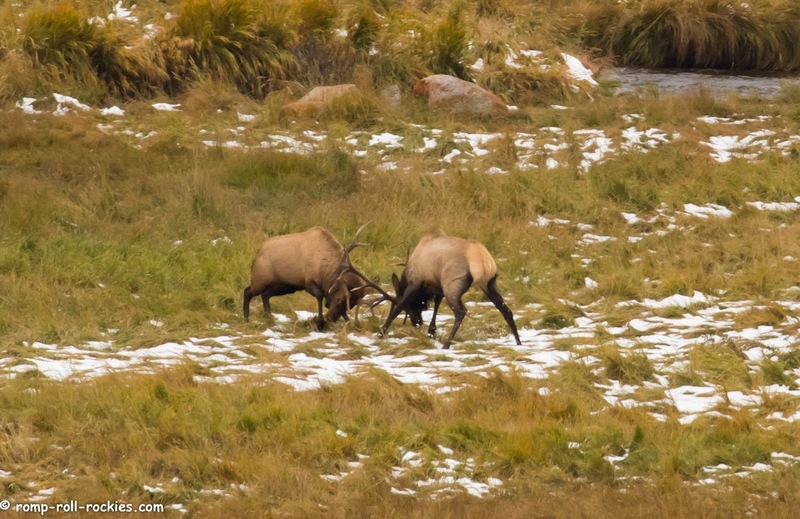 The drama of watching the bulls fight for their harems of cow elk is incredible. The majority of the time, the bull elk don't actually have to fight. They bugle to tell all the other bulls to stay away. Here's a male in mid bugle. However, occasionally, a big bull comes too close, and things get serious. 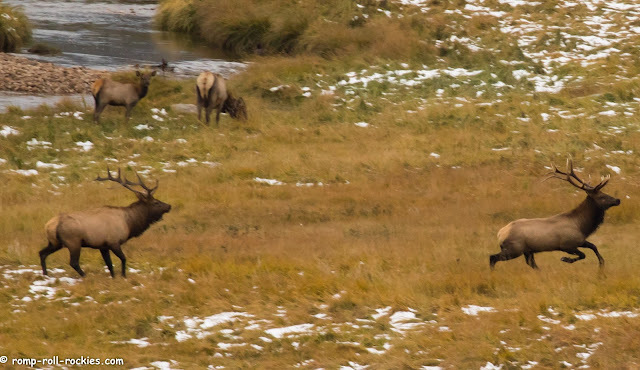 This dominant bull was starting the charge toward an interloper. 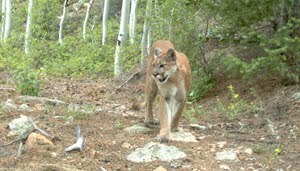 He ran about 50 yards at full speed and met his nemesis with antlers clacking. It did not take long for him to win the battle, and the other bull to start to flee. The dominant bull gave chase, as if to add an exclamation point to his victory. He bugled as the other bull kept fleeing for a long time! He strutted back to his harem, bugling the whole way. On this day of "elk watching", the sounds of the rut were incredible. 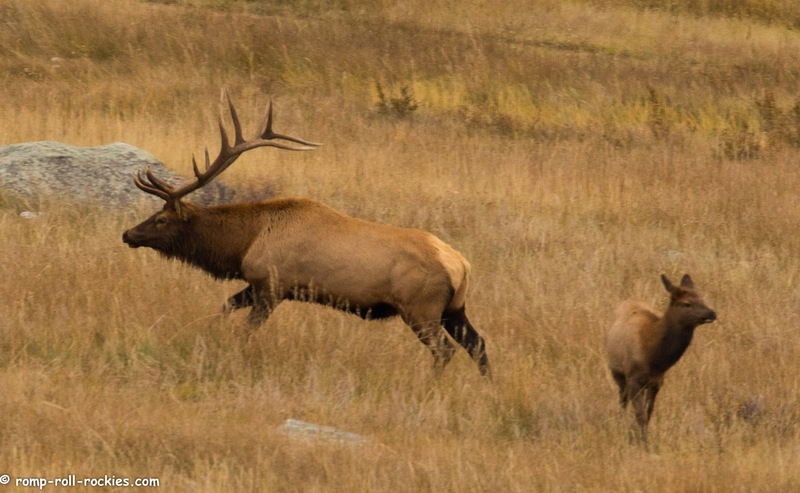 I videoed one bull elk as he milled around, mainly so that you could hear the sounds of the meadow. You'll hear the loud and drawn out bugles of the bulls. You'll also hear the mewing of the calves who were trying to find their mothers. 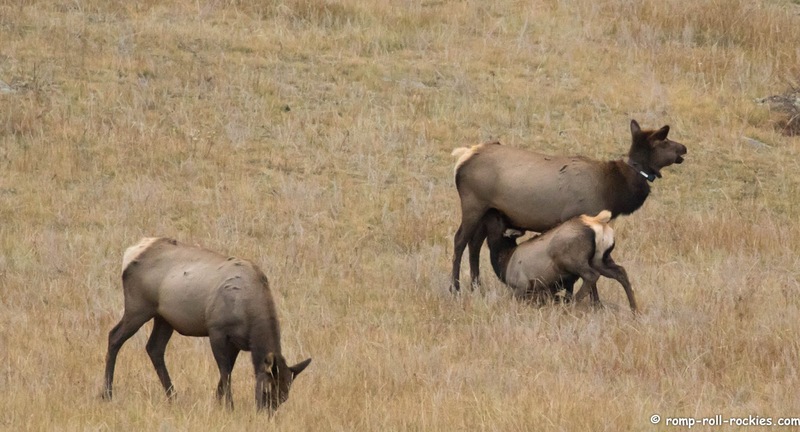 This day had been hectic in the meadow, and it seemed that many mother-calf pairs had become separated. The calves do still need their moms at this point. They even still nurse. Here's the video. Remember that the visual is not the important part. The bull who I focused on wasn't doing much that was interesting. Rather, the audio is what I wanted you to hear. Turn up the volume and enjoy either here or at Youtube. 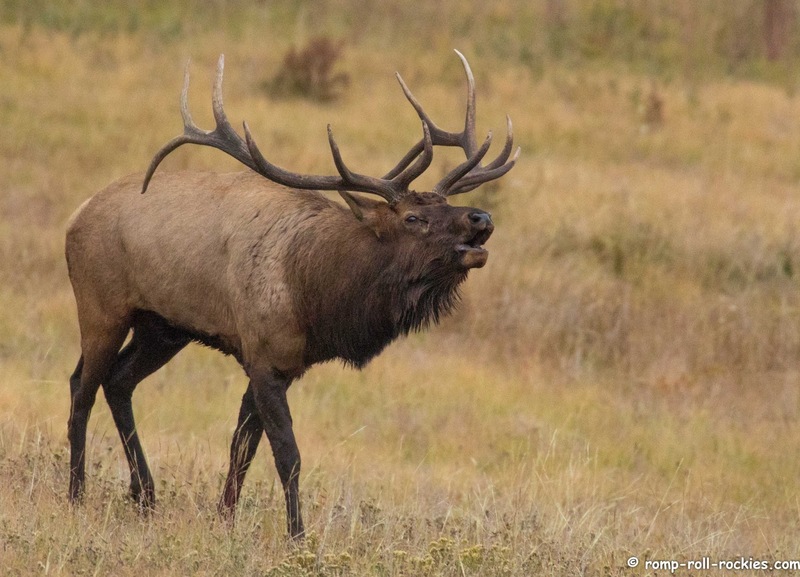 I love hearing the elk bugle, one of the best sounds in nature. Nice!!! Thanks for adding your wonderful videos. It sounds peaceful. We were expecting something more fierce. 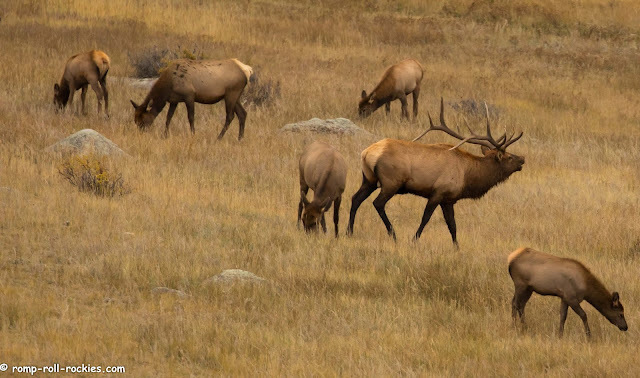 They are magnificent , regal animals, and the bugles are haunting. 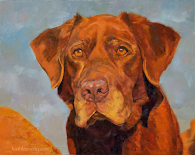 Thanks so much for sharing your mighty creatures with us. Wow, certainly not the sound we were anticipating. 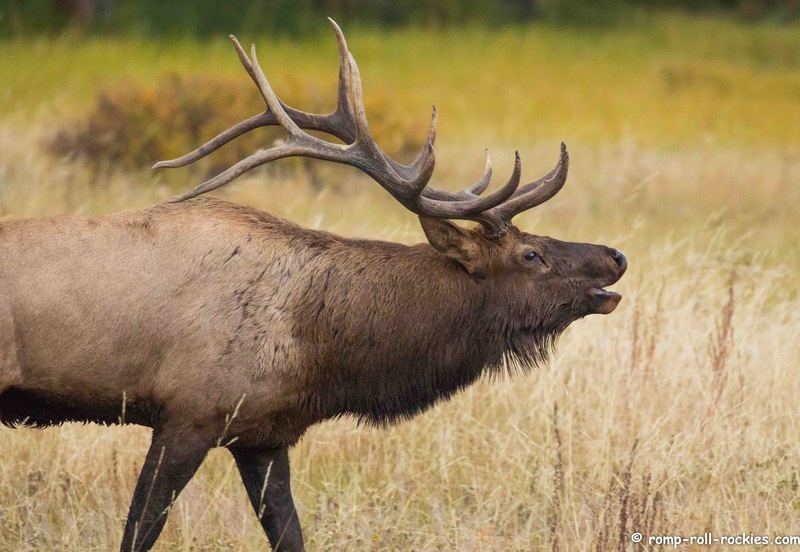 Thanks for sharing the sounds of the elk. And all the great photos too. Amazing video. 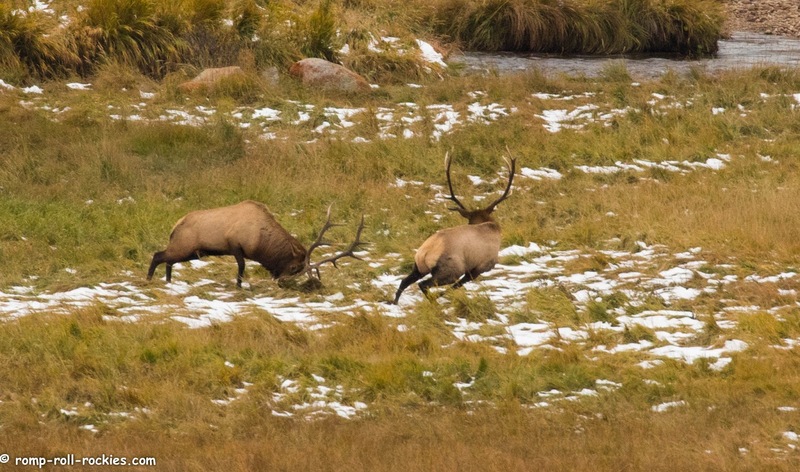 Hadn't thought about the youngsters getting separated during rut. What a confusing meadow that became. I wonder if the young ones get a bit scared too when the big bull starts to make those super loud rutting sounds? Quite interesting! I never get tired of watching these beautiful creatures!! Awesomeness. I’d like to show this at wild bear nature center next week. An you join us after 3 Tuesday, Wednesday or Thursday? oh! Such high-pitched sounds - I was expecting something deeper. These sound almost like bird calls. Thanks for sharing! I always find the sound from the bulls quite haunting. How fantastic to be able to witness and listen to this each year. 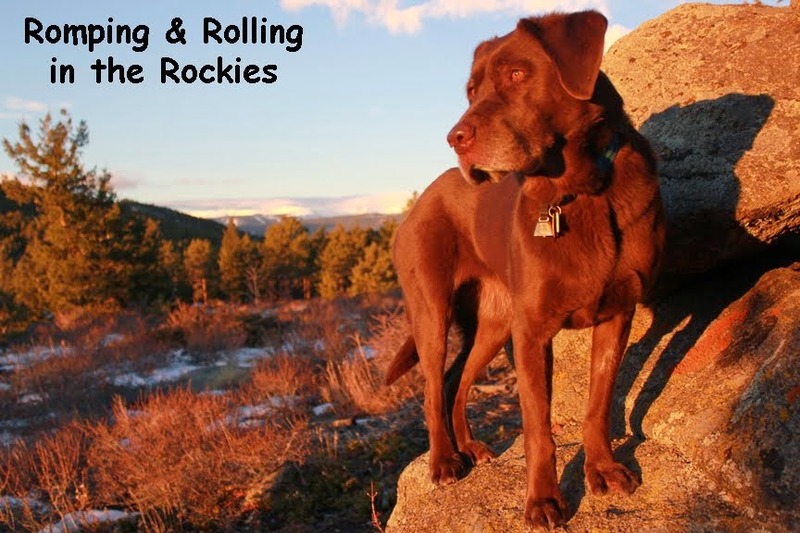 Wordless Wednesday - I miss the golden days! Wildlife at a water hole - moose, hawk, and owl!